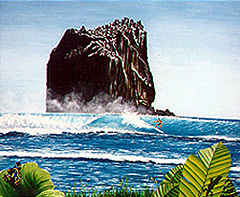 Glenn B. Martin has been a Master of his art for over 25 years but one could say he's been an artist all his life. 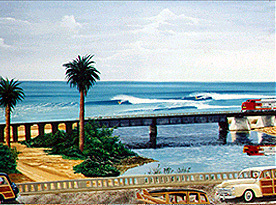 He started using his naturally "photographic" talent around the age of five when he began sketching trains that he saw when out on his father's jobs. 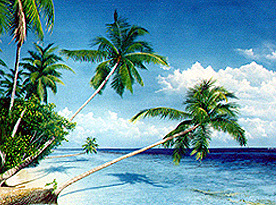 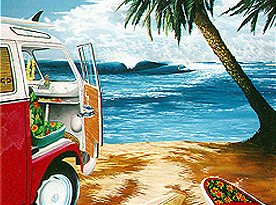 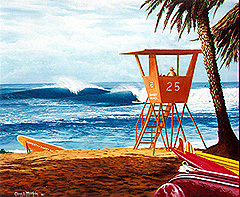 Glenn has perfected his techniques to create highly detailed pen and ink illustrations, some with watercoloured overlays, and very vibrant oil paintings of the subjects and places he enjoys most: classic cars, surfing and the sea, sports, and Southern California hot spots and landmarks. 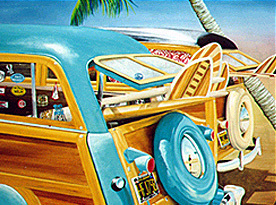 What Glenn brings to his distinctive art are humour and nostalgia mixed with an unmistakable style that captures the essence of living and playing in Southern California and the South Pacific. 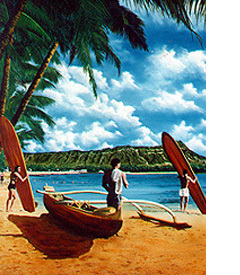 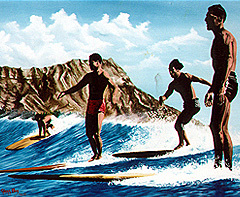 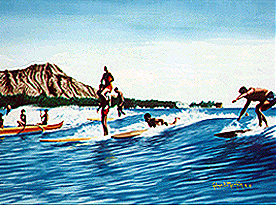 Glenn's surf art is available in originals and prints. 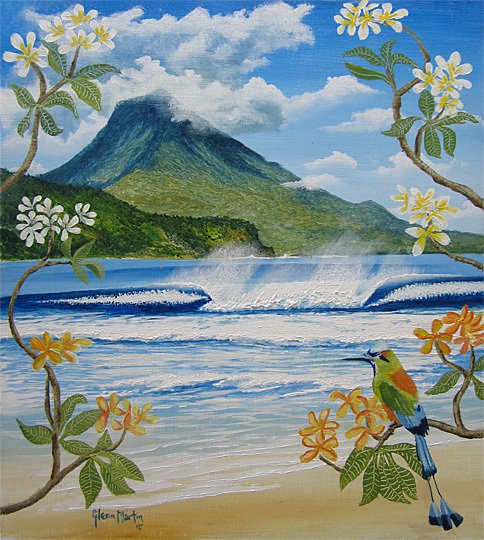 He welcomes commissions of your favourite subject, prices depending on the medium, size, difficulty and research involved.